 A collection of pieces, 1949-75, that barely touches upon the Middle-Earth scenario for which Tolkien (1829-1973) is justly famous; overall, however, it renders a much more complete account of this scholar, poet, critic, and storyteller's talents. 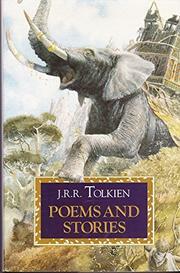 The charming, deceptively light poems of ``The Adventures of Tom Bambadil'' contain intriguing sidelights on Middle-Earth lore, while the dramatic poem ``The Homecoming of Beorhtnoth'' (``unavailable in any other edition,'' according to the publisher), complete with scholarly introduction, describes the aftermath of the Battle of Maldon, which occurred in the year 991. The essay ``On Fairy-Stories'' has won critical acclaim, as have the tales ``Farmer Giles of Ham'' and ``Smith of Wootton Major,'' as well as the story that most closely reflects Tolkien's personal philosophy (``Leaf by Niggle''). Some of these may be familiar, or available individually; still, this collection is a splendid accompaniment for existing fans, or an excellent introduction for newcomers.